"We are ready for a dialogue. At the moment, we are working to hold another meeting of the council. Naturally, it will be held if conditions are favorable." Russia is engaged in efforts to convene a Russia-NATO council meeting, Russia’s envoy to NATO, Alexander Grushko, said in an interview with the Rossiya 24 TV. "We are ready for a dialogue. At the moment, we are working to hold another meeting of the council. Naturally, it will be held if conditions are favorable," he said. 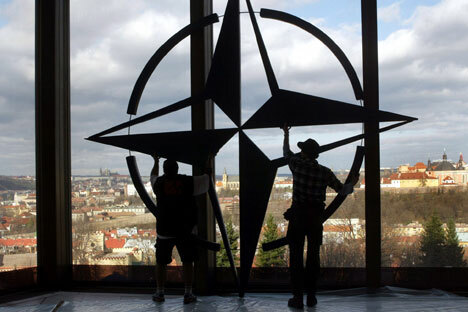 The envoy said that Russia had suggested organizing a meeting of all Russia-NATO Council participants at a military level aimed at "a very serious discussion on the present condition of military security in Europe," but received no positive feedback. "The answer was negative and it is evident that at the moment NATO does not want to and is not ready to resume full-fledged dialogue at the military level, which runs contrary to signals that are being articulated at the top level," Grushko said.